January is always hard month to schedule concerts. People don't want to think about January until Christmas is over, and by then it is too late to promote a January concert. I made reservations for January at a Thousand Trails campground in Florida. I knew that we could stay for free under our membership. It would be a good place to finish out the winter, even if Michael was not working much. Of course, Michael was diligent and was able to find people to host concerts, too. We are planning on staying in Florida all the way through mid-February. You may have guessed that to girls, age 5, 6, 8, &10, Florida = Disney. This has been one of our promises since we decided on the Airstream lifestyle. The Airstream would allow us the opportunity to go to Disney, an opportunity we would not have had if we lived in St. Louis. I researched the ticket prices, and it is a whole ordeal. 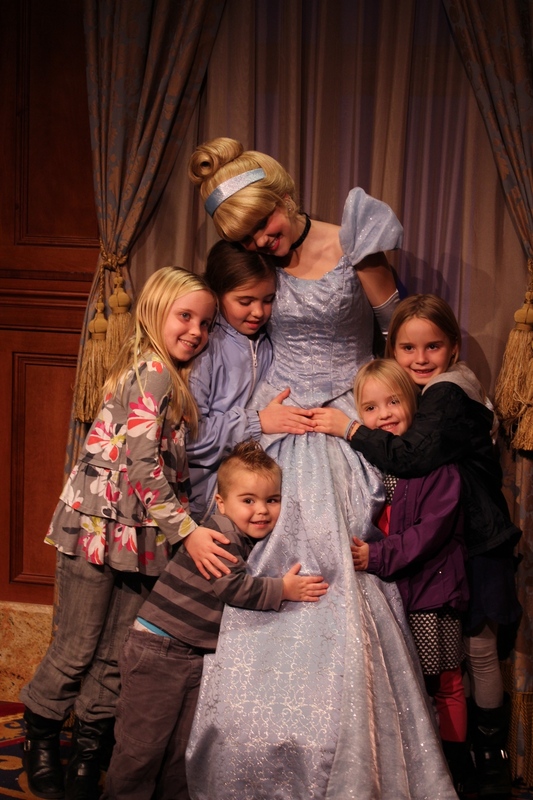 To go to Disney for one day, as a family of 7, is outrageously expensive. If you go 2 days, your price per day gets cheaper, but the best value is at 5 days. Of course, if you buy a 5-day ticket, then you'll want to explore either the park-hopper addition or pay extra for no expiration date. WHEW! We could quickly drop $3,000 just to walk in the front door of Disney! This cost puts a huge stress on the day. Once we spend that much money, it HAS to be fun. If it rains, it has to be fun. If someone is sick, it has to be fun. All of the sudden, a carefree day of fun becomes one with a more disciplinary attitude of "You WILL do this and you WILL enjoy it!" We try to avoid this attitude. Instead, we try to be aware of our disposition and change our plans accordingly. Our motto is, "Leave while it is still a happy memory." In our younger days we would often stay and try to push ourselves through with little food and little sleep because we wanted to get the most out of the day. We wanted to stay from open to close, because that was the best value. What we have learned is that it is NOT the best value if everyone is miserable the last 3 hours. It better to leave in the middle, get a good lunch and a nap and then return refreshed. I decided that we should probably go simple and limit to a one day trip, even if the price per day was higher. Now, I had to choose a park. All of the sudden, visiting DisneyLAND when we were in California in March was much more appealing: one choice of theme park, less acreage to walk, more time to save up the money for tickets. That was our plan when we settled in our camping spot in Orlando. We were enjoying the weather and the amenities at the campground. It turned out that one of my friends from high school (Melissa) lived in the area. She found me on facebook and noticed my location was tagged. She sent a message and asked if I wanted to join her kids at the park that week. I agreed. As we were working out detail the night before, she offered that the "park" could be a Disney park...she had some free tickets. I hesitated for a minute, thinking she might not realize that I had 5 kids. Melissa stated that she and her husband were both full-time Disney employees and that she could get all 10 of us (7 of us and 3 of them) entrance for free. She let me choose the park, advised me to pack a lunch, and arranged to meet me at 8:45 AM the next morning. WOW! In less than 12 hours, we would be at DISNEY!!!! 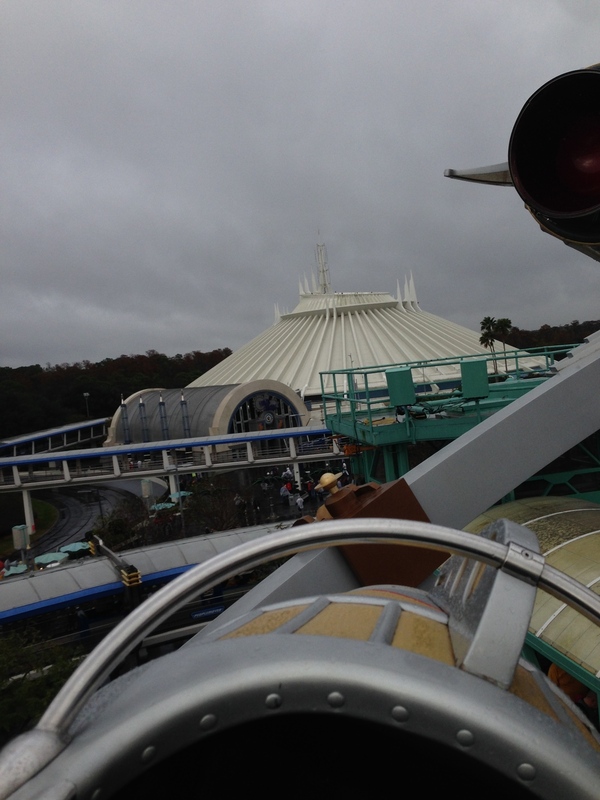 Of course, with 4 girls, I had to choose Magic Kingdom. There, Melissa proceeded to grant me free parking, free entrance, and a free double-stroller rental. It was such a whirlwind that I think my girls had no clue what to expect. Normally, people build up excitement and count down the days until they get to Disney. We woke up and walked in the front gate. Melissa lead us to the princesses right away and then after Melissa and her kids went home after lunch, we concentrated on themed rides (which Michael enjoyed much more). Gabriella even rode some rollercoasters, and enjoyed them! I thought there was no way that we would stay until 9 PM, but as the day stretched on, MJMJ was able to catch a nap in the stroller and most of us were still in good spirits, so we stayed - fireworks and all! Overall it was a great day and I owe a HUGE thanks to Melissa. My kids ranked it above Cedar Point on account of the princesses and the fact that the day was themed toward kids instead of adults. It is now our "favorite" memory of the Airstream Tour.